It's October again! Indie brand ALIQUID Lacquer is celebrating Adopt a Shelter Dog Month with creating another limited edition polish to support the ASPCA. Their previous efforts have raised almost $700 over the past two years! This year they are teaming up with TwinkledT to also release some cute vinyls for doggie themed nail art. Dog Ate My Homework is a berry-tinted jelly with holographic and iridescent microglitter, gold flakies and blue glass flecks. Since it is a jelly it is pretty sheer, but that allows the gorgeous glitz inside to pop and layer to give a complex look. You could build this up on it's own or layer it on top of an opaque base color for a different look. I used three coats here. The included TwinkledT vinyl sheet comes with 24 decals and 24 stencils in lots of cute designs. These worked really nicely for me, and being a beginner, I think I did pretty well with them! I used my go-to opaque white crème to fill in the heart-paw and dog stencils. I also put on a coat of matte transforming top coat to give the polish another look. About the cause: About 3.9 million dogs enter U.S. shelters every year, and 1.2 million dogs are euthanized (800,000 of them pit bulls and pit bull mixes like our dog Trudy). Adopt a Shelter Dog Month seeks to call attention to the plight of these animals and to encourage people to adopt dogs rather than going to a breeder. No matter your preferences, you're bound to find a rescue dog that fits perfectly into your home! Click here to read all about pet adoption! This polish will only be available in the month of October from ALIQUID Lacquer's website. 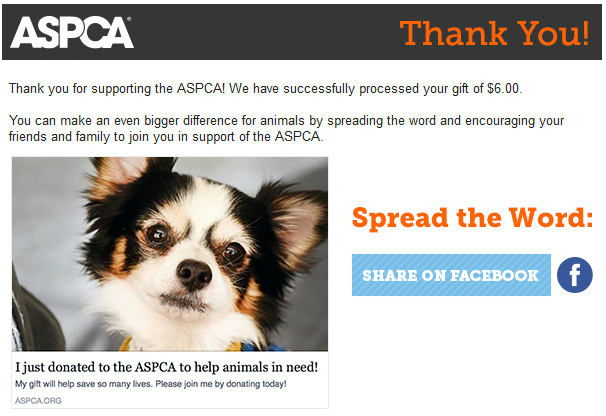 You can purchase it for $13 and $6 of that will go to the ASPCA! Since I received this polish for review, I have donated the $6 that would've been given to the ASPCA had I purchased this. If you are a dog lover, cat enthusiast, or just want to support a great charity for animals, please consider donating or purchasing this awesome polish!